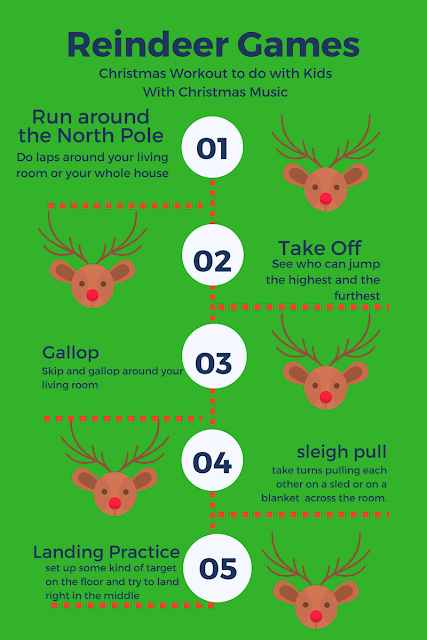 It's the week before Christmas! It's time for family parites, lots of good food, movies, shopping, and more all on top of our regular daily to do list...plus the kids are out of school. 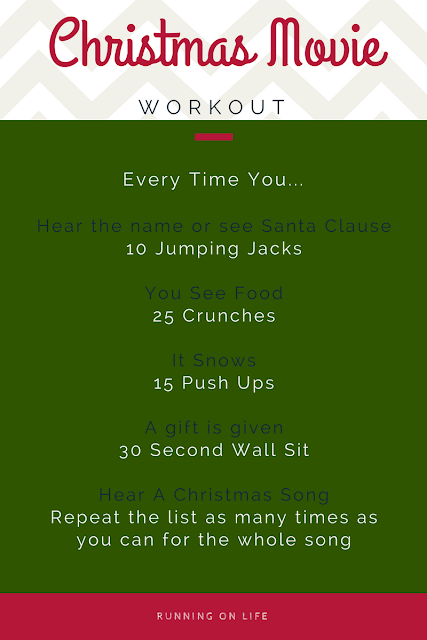 So Today I wanted to share a few fun Christmas/holiday workouts for you so that you can make sure to get something in! These are all either workouts you can do while multitasking or they are quick enough to do when you have a few minutes! They are also all fun. So let's not let our workouts slip too much during the next couple of weeks. Play some reindeer games with your kids. Do a quick HIIT workout when you are short on time. Break your run up into a 25 minutes of Christmas tempo run. 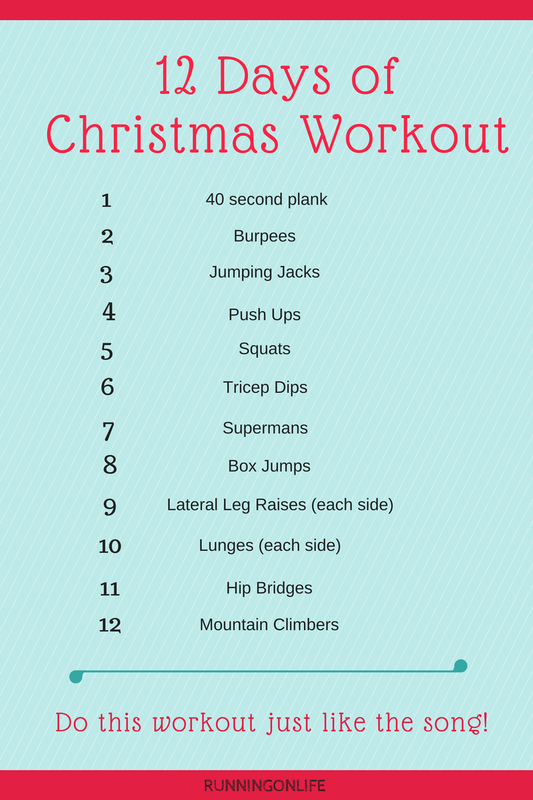 Watch your favorite Christmas movie AND get your workout in by doing this Christmas movie workout. How are you making sure to get your workout in? How do you make your workouts fun? Which workout are you going to try? 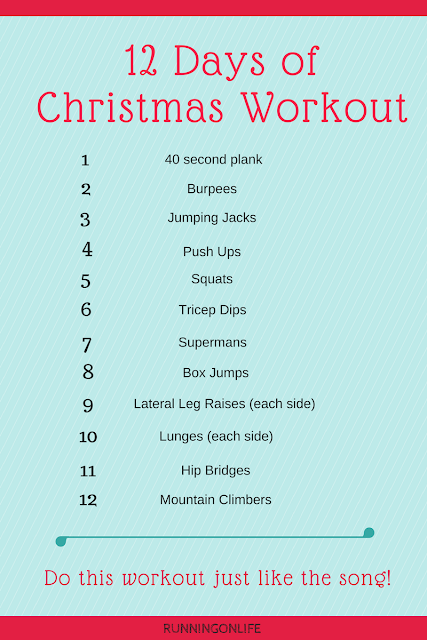 I love these festive quick workouts. I've actually managed to keep up with my usual fitness routine through the holidays by scheduling my workouts on my calendar and treating them like any other important appointment. Now if only I had kept up some semblance of a healthy eating routine! 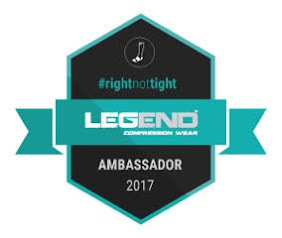 I found your blog through your comment on Hungry Runner Girl. Here's to a happy, healthy holiday! I don’t think I ever had a healthy eating habit to keep up LOL! Good job! I’m glad you found my blog, thanks for reading! 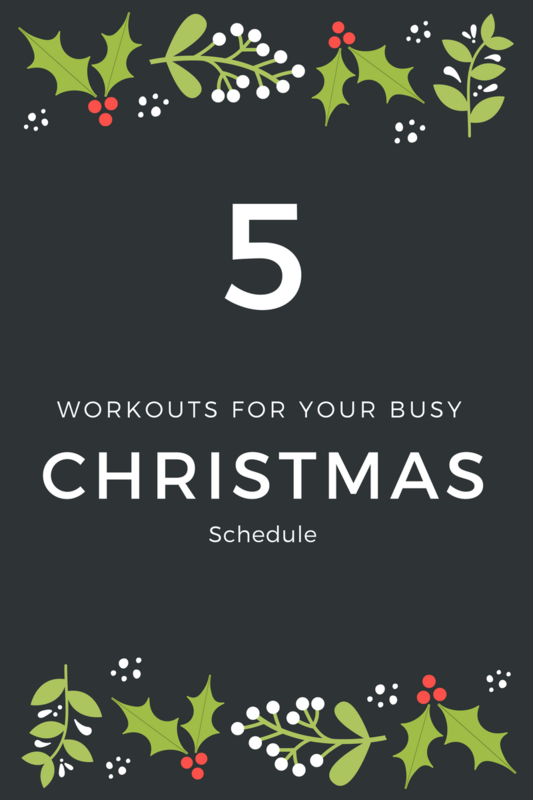 You just gave me awesome holiday workout motivation and I really needed it! What cute ideas! I love those workout ideas!! 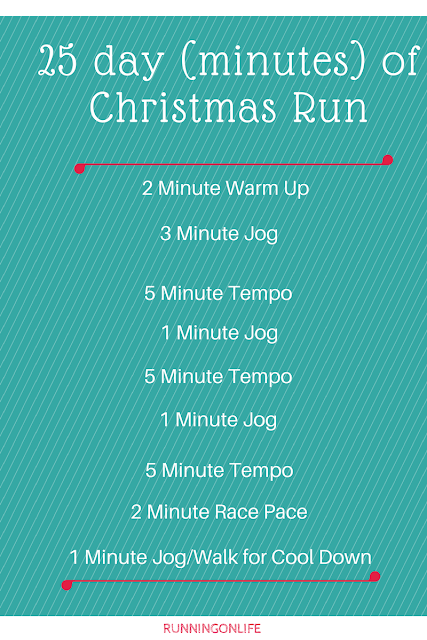 I'm definitely going to fit in a run and some yoga sessions over the next few days! 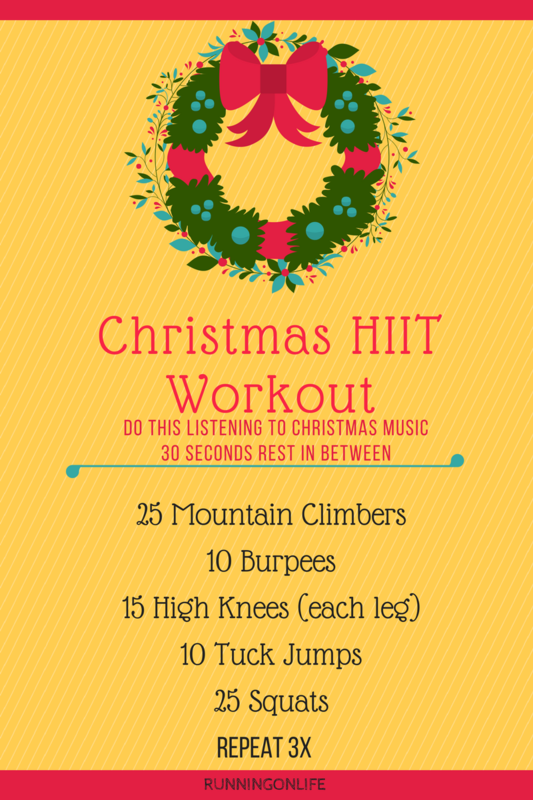 Nothing better than a good sweat session to help juggle all the crazy holiday stress! Have a great Christmas weekend!!! I completely agree. Exercise definitely helps stress levels! I hope you have a fantastic Christmas! I think counting the amount of steps for a mile would depend on the individual person. On google it said that it would be around 2000 steps to walk a mile for the average person. It all depends on your cadence. 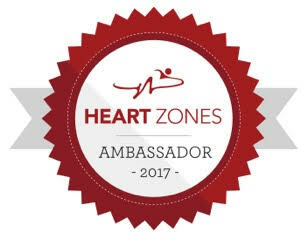 I suggest looking for some kind of gps or pedometer that would help you keep track of mileage. I hope that helped! In both cases, an adequate amount of carbohydrates and protein should make up the bulk of the meal.Russell Westbrook Workout Supplements This way, you can rest assured that your workout will be sufficiently fueled thereby maximizing performance benefits and post workout benefits.